How Long Does Rehab Last After ACL Reconstruction? 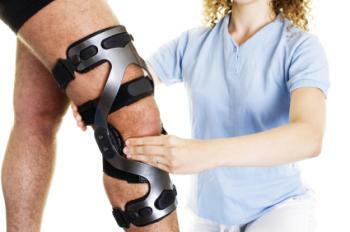 Rehabilitation following ACL reconstruction surgery is a lengthy process. It can be several months before the patient is able to return to regular activities, especially sports. Specific rehabilitation focuses on the individual person, so it is not the same for everyone. The main considerations are that every surgery is different and each person recovers at his/her own rate. Wearing a brace, if prescribed. During this phase of recovery, some orthopedic specialists have the patient use a continuous passive movement device (CPM) for several hours each day to increase the knee’s flexion and strength. After seven days, range of motion exercises are started. This is done to regain full extension of the knee (ability to straighten) and to increase general flexion (ability to bend). The orthopedic specialist refers the patient to a physical therapist who works with the patient on walking, strengthening, and mild aerobic exercises. Many therapists have patients use a stationary bicycle to assist with range of motion and aerobic activity. During weeks 3 through 6, the patient continues to work with physical therapy, and as range of motion increases, the focus shifts to strengthening, proprioceptive exercises, and balance. After normal motion is achieved, the therapist will permit certain sporting activities. Before this type of exercise, however, the range of motion must be normal and all swelling should be gone. Light jogging, swimming, and cycling outdoors can begin during weeks 7 through 12. However, side-to-side pivoting sports must be avoided, including soccer, basketball, and football. At the end of this phase of rehabilitation, some individuals can begin jumping rope, doing shuttle runs, and performing lateral shuttles. After month four, the patient continues to progress with sporting activities. During this rehabilitation phase, the patient may feel that the knee is normal, but full recovery may not yet be achieved. Emphasis of recovery during months 4 through 7 is on sports simulating activity, such as plyometrics, figure-eight drills, and sports drills. Patient’s functional progression – This means that the decision is based on the individual’s personal progress during the course of physical therapy and rehabilitation. Graft type used – Many orthopedic surgeons delay return to sporting activities if a donor graft was used to reconstruct the ACL. These types of grafts (called allografts) are sterilized and frozen, so they take longer to heal than when the patient’s own tissue is used as a graft. Surgeon preference – Each orthopedic specialist is different, so the surgeon will guide and direct the patient’s rehabilitation and make the decision when he/she can return to sporting activities. Some studies show that there is no benefit in prevention of ACL injury with the use of a brace following reconstructive surgery. 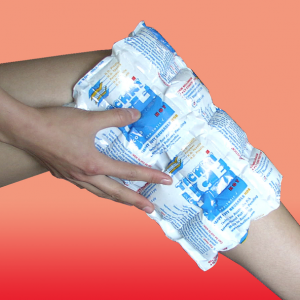 However, some orthopedic surgeons prescribe a brace, and there is no harm in using one. Tagged under: How Long Does Rehab Last After ACL Reconstruction?